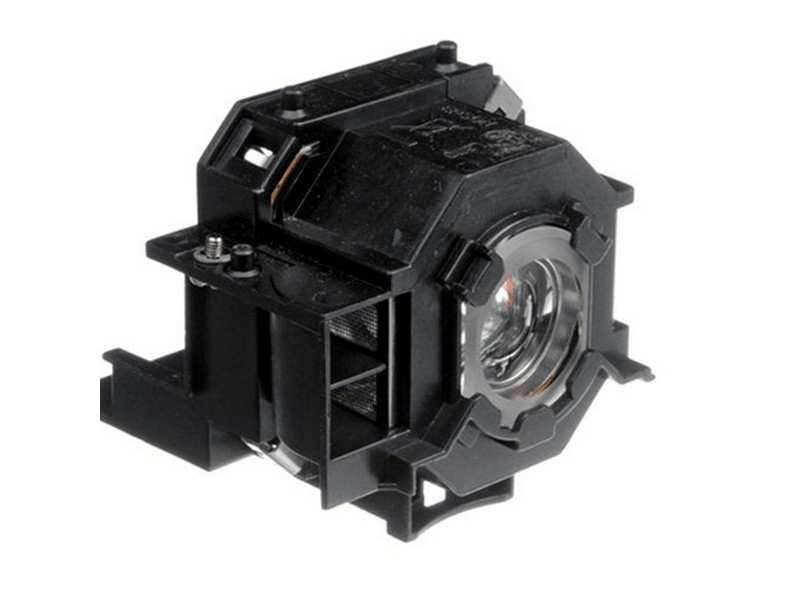 The Powerlite 410W Epson projector lamp replacement comes with a genuine original 170 watt Osram P-VIP bulb inside rated at 2,600 Lumens (Same brightness as the original Epson lamp). The Powerlite 410W lamp has a rated life of 3,000 hours (4,000 hours in Eco mode). Beware of cheaper generic lamp replacements sold elsewhere that have lower lumen output and reduced lamp life. Powerlite 410W Epson Projector Lamp Replacement. Projector Lamp Assembly with High Quality Genuine Original Osram P-VIP Bulb inside. Very pleased with the excellent service we received from Pureland Supply. Our order was shipped out the same day it was placed and tracking information was almost immediately emailed to us. We received a lamp that was professionally packed and was obviously high quality. Installation was easy and the lamp works as it should. We have other Epson projectors and will continue purchasing from Pureland. I am a teacher in Philadelphia. This is the most inexpensive Epson lamp around and they work great. I recommend anyone to use Pureland Supply.